ISLAMABAD: Minister for Climate Change Senator Mushahidullah Khan Saturday said former prime minister Muhammad Nawaz Sharif’s agenda to bring reforms in the judicial system aimed to provide speedy justice to the common man. “People of the country are supporting Nawaz Sharif’s narrative regarding the sanctity of vote and they are standing behind him,” he said while talking to a private news channel. He also said Nawaz changed the fate of the country whenever he was given a chance to serve the people. “The Pakistan Muslim League Nawaz (PML-N) worked for the betterment of the people, served the country with great commitment and strengthened the institutions,” said the minister while adding that Nawaz overcame the challenges that the country faced before 2013. To a question, he said the PML-N had always shown respect to national institutions including the judiciary, and always implemented the decisions of the courts. 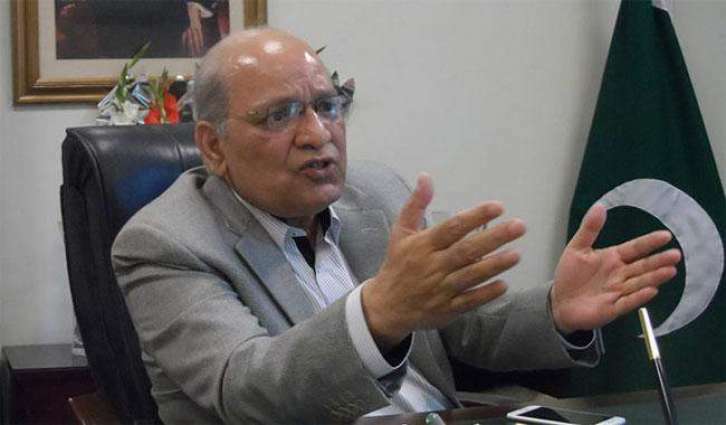 Mushahidullah said all institutions should work in their constitutional domain as it was imperative to strengthen the system.